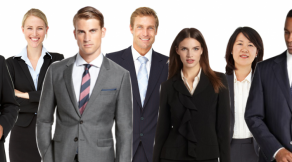 What to wear to a job interview? You may not give it much thought, but it needs to be a priority. I find very little variation between women and men when it comes to interview attire. A standard interview uniform requires being understated. When putting together an interview uniform keep in mind you want the attention to be focused on you, your skills, abilities and authenticity. This is not the time to express your stylish side. No patterns, neon bright colors, daisy duke shorts, blue jeans, etc. Your best bet is dark slacks, light colored blouse or shirt and a jacket. Overtime pay of 1.5 times your regular hourly wage for every extra hour you work over 40 hours in a week.